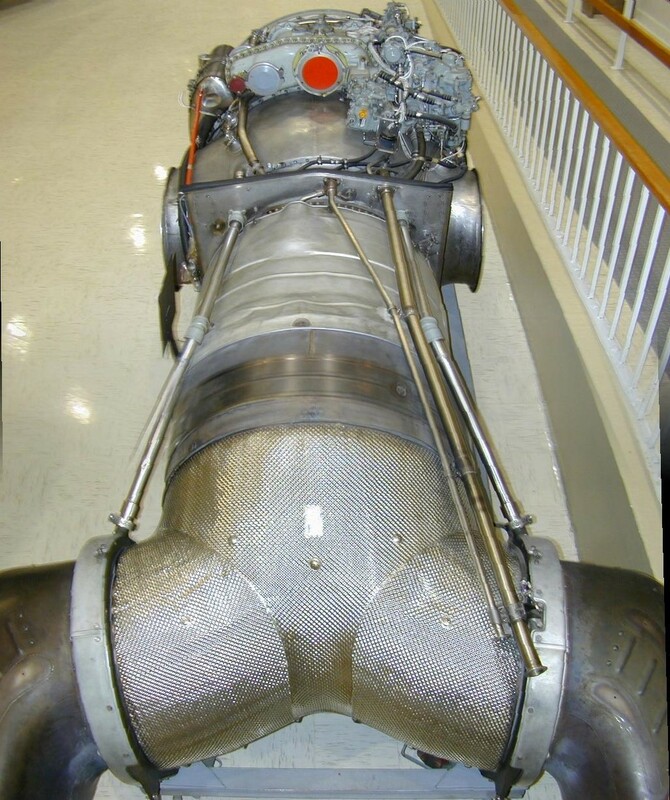 This is the engine complete with the exhaust and deflection system. Note the rods that control the angle of the exhaust. The angle can be changed as desired to control the direction of flight from straight up (exhaust directed down), to hover (down with thrust equal to the weight of the plane), to forward (directed rearward -- remember Newton's Third Law--), and to a limited extent reverse. 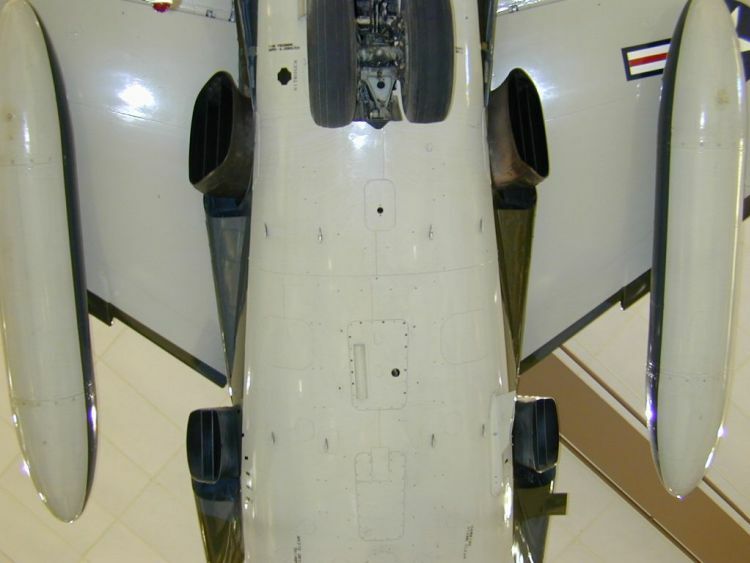 When looking at the photo of the underside of the plane, you see how all this fits together. It is beyond a doubt the noisiest thing we have ever heard. And we used to tune and drive racing cars. If you ever get a chance to see one of these things at an air show, don't pass it up. The Navy Air Museum is a must visit destination for anyone who is interested in airplanes. Thanks to all of the volunteers who do such a great job sharing their extensive knowledge!